Hanzhi Wang | Hanzhi Wang was invited as one of the jury in the 41st “Citta di Castelfidardo” International Accordion Competition. 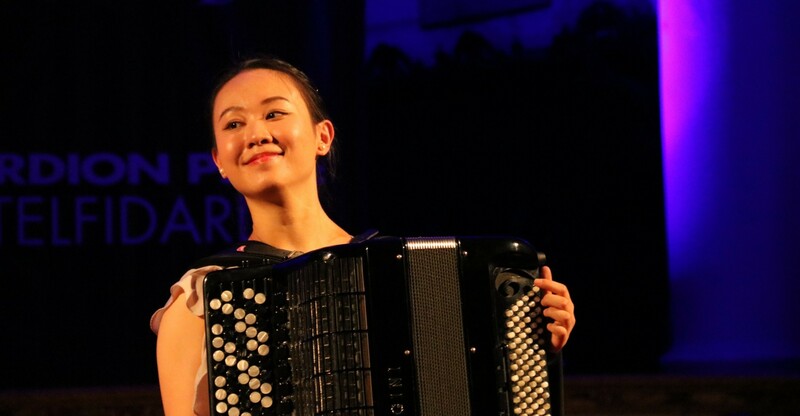 Hanzhi Wang was invited as one of the jury in the 41st "Citta di Castelfidardo" International Accordion Competition. The 41st "Citta di Castelfidardo" International Accordion Competition was held in Castelfidardo, Italy, from 22 to 25 September. This is one of the most prestigious international accordion competitions. Hanzhi Wang was invited as one of the jury. Total 43 jury from the all of the world invited to participate in the event. During the competition, Hanzhi Wang was invited to hold a recital.